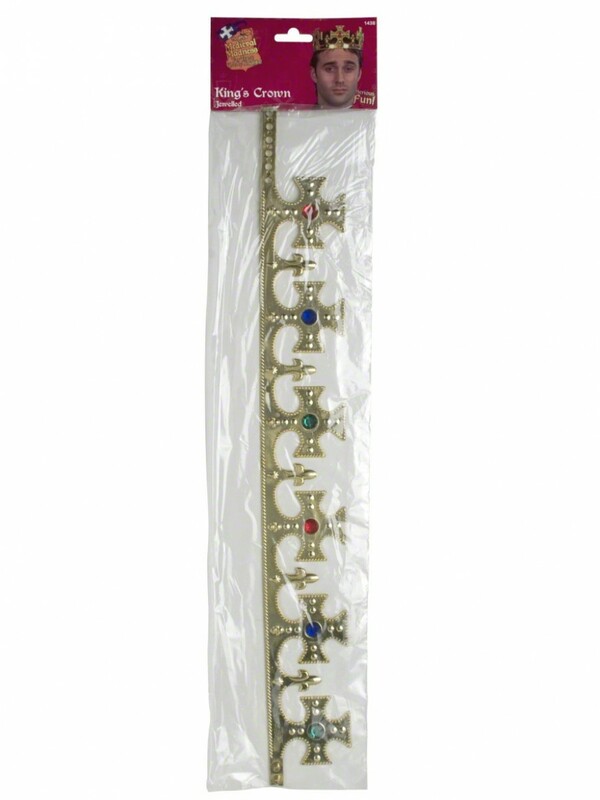 This gold effect Crown has a detailed jewelled cross design and adjustable fastening. Perfect for any King or Queen! 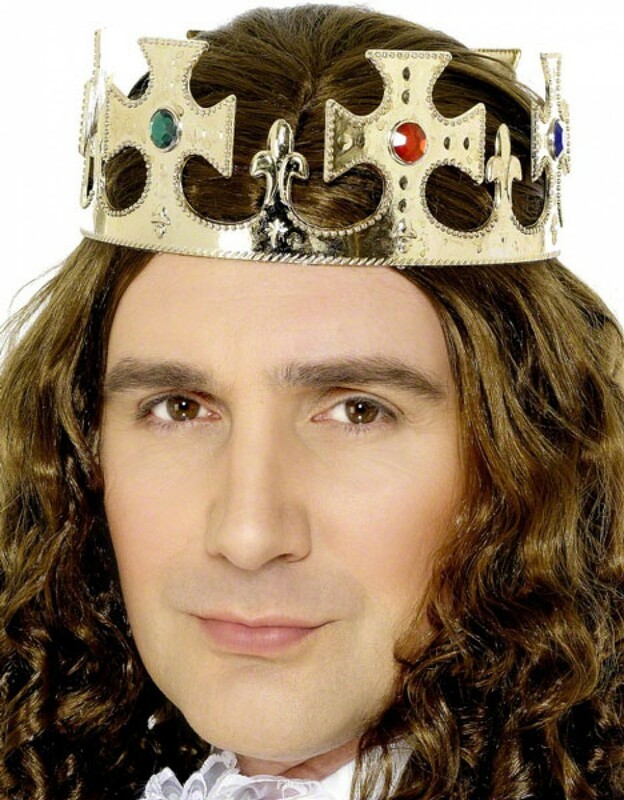 A moulded plastic crown with detailed design and coloured faux jewels, as pictured. The crown comes flat and has adjustable fastening to fit. A great finishing touch for any Royal outfit!